Rachel Hauck is a multi-published author living in sunny, though sometimes hurricane plagued, central Florida with her husband, Tony, a youth pastor. They have three ornery pets. She graduated from Ohio State University and is a huge Buckeyes football fan. 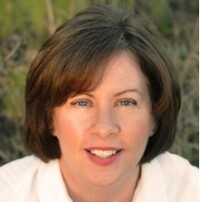 Rachel is a past President of American Christian Fiction Writers. Visit her blog and web site at www.rachelhauck.com.